In a small saucepan over medium heat, stir the apples, rhubarb, and agave until the rhubarb breaks down and some of the moisture simmers off. Take off the heat and stir in the almond extract. Mix the flours, coconut oil and sugar with a fork in a small bowl until mixture is crumbly. Preheat oven to 350°. 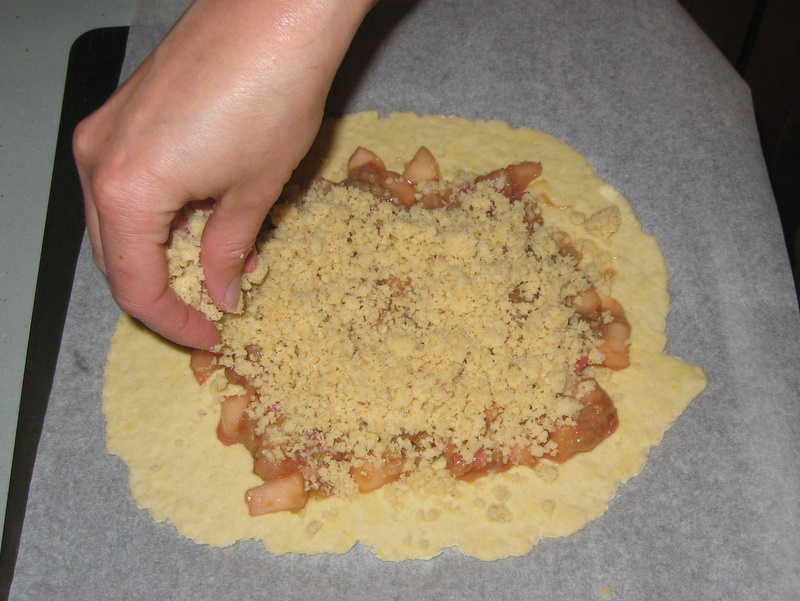 Spread the rhubarb apple mixture your rolled out piece of dough, leaving a border of about 1 1/2 inches. Sprinkle rhubarb with topping and then with almonds. 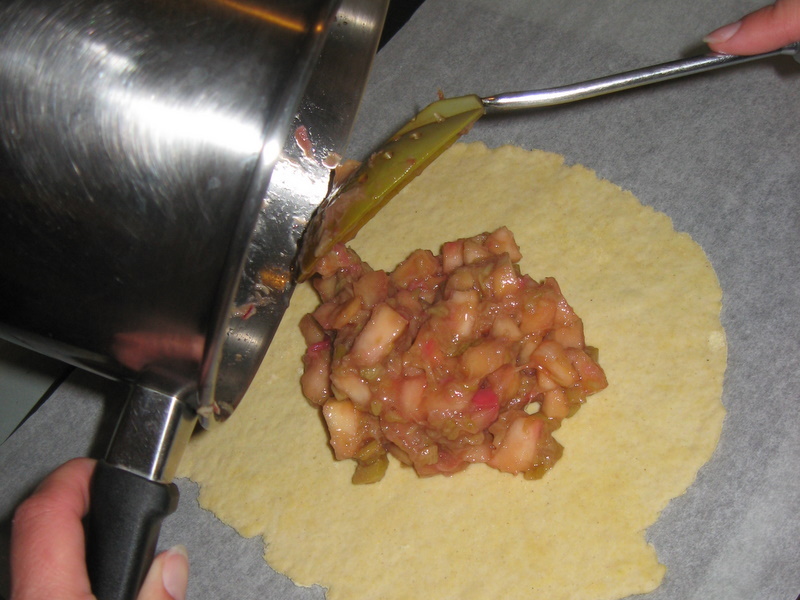 Lift and fold the border to make an edge on the galette. Bake for approximately 18 minutes, or until crust and topping is lightly browned. This entry was posted in apples, desserts, nuts. Bookmark the permalink.